B) a freezing cold Monday. Don't worry, I'm back to chilly Kansas City and I'm slowly getting my life together. Being on vacation in Wichita and then Phoenix for the Thanksgiving holiday left piles of laundry and lots of work e-mails to catch up on. Thank goodness for the weekend. Can I get a "Preach it sista!"? Pretty stinking excited about a weekend at home! Getting my other half back tonight after a week long trip to Seattle, and lots of fun things to look forward to with friends! We're off to sweet little Jasper's first dance recital! Little Jasper Jane is the daughter of my dear friend Ashley, so "Auntie Meg" (as I like to call myself) is going to surprise JJ with some pretty flowers! She's totally going to melt my heart. I seriously can't wait. Probably grab some dinner and a redbox and chill at Adam's casa. I hope his roomies are home - I've missed them while everyone was out of town! I think Saturday morning Zumba is calling my name. T-minus 3 months 'til wedded bliss, people. And I'm going to rock my sassy dress, so it's time to get serious! My other faux niece, Princess Sophia Ann (as Auntie Meg calls her), is getting her first photo with Santa ("SANTA!!! I know him!!" - name that movie). So her mommy, my fabulous friend Karen, and I are going to make a morning of it. That calls for some holiday Starbucks drinks and seriously baby snuggle time. And no, after we get married, we're on the 5 year plan (if you must know)... so don't you even go there! My mom already "subtly" hints that she doesn't want to be an old lady grandma, so 5 years is too long for her (ha!) ;) So I get my fill via friends/fam! Anyway, that should be a blast! Then future hubs and I may go browse for wedding bands for him. Just saying that makes my heart beat a little faster. Seeing a ring on that finger of his may make me melt into a puddle of mushy-ness. Some of my favorite girlfriends are coming over for a crafty afternoon. I can't wait to catch up, enjoy some healthy snacks, and just hang in yoga pants... mmmm. Sunday evening we're off to church with our little Heartland family, which is always a time I look forward to every week. Getting re-centered. Having my heart softened. Worshipping hand-in-hand with Adam. So thankful. Welp, there you have it! A very relaxing weekend planned with lots of wonderful company! What are you up to this weekend, friends? PS - Don't miss out on our Holly Jolly Ornament Swap! Click HERE to see what it's all about and get signed-up to spread some Christmas cheer! Well it's been quite a while since I've given you the insider scoop on our big day. Thanks so much for all of your e-mails and questions about my upcoming nuptials! Hopefully this post will offer inspiration and insight for all of your questions. If your name is Adam Evans, you have red hair, lovely brown eyes, and you're addicted to sour patch kids stop reading. Yes, I'm talking to you, Mister! Now we're in girl zone! Moving on to more girly bride things that I am excited to dream up... my hair do. I have also hired the lovely Jamie Lee, owner of ChatterBlossom etsy shop, to custom design a few bridal hairpieces to complete the look! Delicate and small is what I'm thinking... can't take away from the dress, right?! What's your favorite bridal hairstyle, lovelies? Have you been in a rut of the same old blogs lately? Looking for something fresh? New? Something that will get your creative side some inspiration? I've got just the blogs/shops for you! I personally follow each and every one of these girls, and would love to introduce you to some of my favorites. Many of you may already be following some of these gal pals... because let's face it, they are just that good. I want to start a craft group with Jen, because she is always up to a fun new project! I love seeing her Pinterest inspiration posts because they get my wheels a'rolling! I especially loved her holiday glitter art tutorial yesterday... I may have to visit Hobby Lobby on my way home to get started on this fabulous project! This girl is as down to earth as you can get! She blogs about everyday life, which I can totally relate to. New recipes, inspiration, decorating, new experiences, and so much more. Dying to try her pizza recipe that she posted earlier this week! YUM! 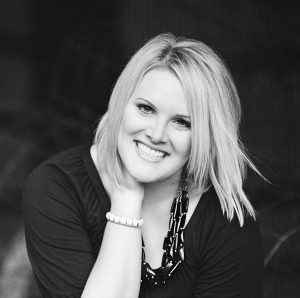 A must read is Rachel's Trim Down Diaries. Great healthy recipes, exercise motivation, tips and tricks! I look forward to a new post CONSTANTLY! She also has a fabulous social life and an upcoming NYC trip that I'm glued to. Hey, I can live vicariously through her, can't I? Nikki @ From a Miss to a Mrs. This lady is incredible. Crafty, foodie, and adventurous! Did I mention her pups are too cute? Her blog has a lovely variety and I'm constantly book marking projects and recipe inspiration for later! Example? I am dying to make her Citrus and Herb Chicken for a fancy dinner party! Well, she's my little sister, so I have to love her right? Jk, Sissy is fabulous! She's always had a knack for styling, so I love her fashion posts so much, especially this Winter Fashion Fad post! She even did a precious post on her homemade Halloween costume... a must see! She does an amazing job of day dreaming. Whether it's posts about Admiring the Moon or recalling memories of her kids, I love reading! Her Wordless Wednesday posts are chalk-full of adorable photos that make your heart melt too! This girl is insanely inspirational. She's on a mission to lose 100 lbs. and is so great on inspiring others to get healthy too! Her Weight Loss Wednesday posts are such a great and very honest way to keep her accountable, but at the same time... I'm reading it and taking notes too! Not quite a blog, but more of a jewelry metropolis really! They have adorable classy bangles, dangle earrings, statement necklaces and so much more at a price your debit card will love! Go shop around (you can thank me later!). So if that doesn't entice you to visit these sites, I don't know what will?! There is something for everyone, so please go stop by and say hi to the girls... and then go jewelry crazy! You would be CRAZY not to!! Now that we've trick-or-treated and gobble gobbled, it's time to spread some holiday cheer, don't you think? Well that's what Rachel, over at Simple Little Joys, and I are thinking! Rach (the world's most adorable blog BFF) and I brainstormed a few weeks back about how we could do something holly and jolly! Our main goal? To build blog friendships and extend joy during the happiest time of the year. So, being the genius that she is, Rach had the amazing idea to organize a Christmas tree ornament swap! And who on earth hates Christmas ornament holly jolliness? Nobody... that's who. So join us! Sign-up to be a swap buddy and we'll get you all taken care of! Read on below to find out how! Sign-up, get matched w/ a buddy, share your tree style, and then shop for your buddy's Christmas ornament. Swap via mail and then... voila! 2) Leave a comment on this post that includes your first name and e-mail address. one of you up with a buddy! 3) We will send your buddy's e-mail address to you via your provided e-mail address. You then can exchange mailing addresses and information. 4) Shop for the perfect ornament to send! Mail it to your buddy on or before December 10th. 5) Wait for your ornament surprise to arrive! Spread the word about our Holly Jolly Ornament Swap! We want as many people as possible to join us in this cozy, holiday cheer! The picture above is for your use in a post or on your sidebar. Please add a link directly to this blog post so that your friends can easily join us in the fun! I know I am! Rach is too (trust me on that one... she's so Christmassy, she could be Santa's favorite elf)! I can't wait to get matched with a buddy and find the world's cutest eye-dazzler for their tree. This will be so fun! She and I hope this swap will be a cute way for all of us to spread some holiday magic, so thanks in advance for joining us! Wishing you a festive Starbucks latte-filled kind of day! That's right, today is my 26th birthday, and so far so good. I have the entire day off, so I slept in extremely late, may or may not still be in my PJs, and I'm heading to see Breaking Dawn - Part 2 with my sister! Later tonight, Adam and I are going to celebrate with a low-key dinner and wonderful mellow hang out time. After a busy weekend of pre-celebrating, this sounds wonderful to me! Thanks so much for taking time to stop by! Want to give me the world's best birthday present? Please spread the word about today's Mingle Monday to everyone! I would love to have them join this week-long party! Here are some MUST read blogs for you! Yup, that's right. If you haven't stopped by to see what they're all about, you need to!! And read on below to find out how you can be featured on the Mingle Monday must reads! BIG NEWS - All sponsorship prices have been lowered! Starting at a mere $8 for a whole month of exposure, grab your sponsorship spot today! With more than 32,000 original page hits a month, and 850+ hits per post, this is a great opportunity for you to gain traffic and followers! Try it out here - you WON'T be disappointed! Welp, I'm off to gallivant around the city and enjoy my big day! Stay tuned throughout the week - more fun posts coming your way!! Wishing you a sprinkles and champagne kind of day! Fridays always make me super happy, but especially today. Birthday weekend has arrived and I'm ready to have a reason to just celebrate with friends and family! We've got quite the celebration agenda. Tonight, we are rounding up the gang to hit the town for a swanky dinner, and then we're heading back to Adam's house for yummy German chocolate cake and drinks! I wouldn't be shocked if we rocked out to Spice Girls Pandora station and broke out beer/wine pong for a fun evening with tons of my favorite people! If catch phrase was included I wouldn't hate it... just saying. Tomorrow morning, I am heading out to breakfast with the world's greatest group of small group girls. They crack me up, so a little brunch (while clad in yoga pants and a messy pony) will be such a fun way to start the morning! Saturday night, we're headed back over to Adam's house with our crazy k-state friends to watch the big game. I'm planning to be overly ambitious and make tasty Wildcat themed purple sugar cookies. I know... I'm just out of control. I'm super pumped about Sunday! Bud (Adam's "pet" name) and I are headed to lovely Crate & Barrel to begin our wedding registry. Shockingly, we're both way too excited - we love C&B! Sunday evening is church with our little church family, and then enjoy a relax night... and probably some Christmas decorating! Ahh! I took Monday off (which is my actual birthday)and the entire week of Thanksgiving. So I am planning to sleep in, get in a nice workout to start year 26 off right, and then my little sis is coming into town for a Breaking Dawn - Part 2 date with me! So excited! Heading home with sissy on Tuesday after she gets out of class. I'll be in Wichita celebrating Thanksgiving with family until after Black Friday shopping! Then I'm driving back to KC to catch a flight out to Phoenix for several days with Adam and his fam. Meredith, my almost sister-in-law's 2nd wedding reception is that Saturday! So anyway, I'll be around next weekend!! 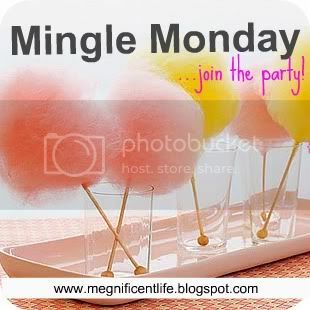 Be prepared to join me on my birthday for some Mingle Monday time! I have lots of great posts lined up! I will also be having a Black Friday/Cyber Monday sale over at my Cozy Couture - Custom Crochet Headwraps Etsy shop! R ecovering from the best weekend! I took a little roadtrip this past weekend with Adam, and we got to spend time with tons of our favorite people! We enjoyed time at the cabin playing board games, relaxing, watching football, making homemade chicken nachos for the big K-state game, and enjoying the best company! On Sunday, we said goodbye and drove to Wichita to spend the whole day with my super hip parents (they're a blast!). They made us a yummy biscuits and gravy breakfast, we visit my grandpa (who's recovering from knee surgery), and played more board games (can't get enough!). So you could say I am in the world's best mood today... but I think even that would be an understatement! I have to say, I am glad you stopped by to see me today! If you're new to my blog or Mingle Monday, this is a gret way for you to gain new followers, meet friends, and find AMAZING blogs. These gals are wonderful and have amazing must-follow blogs and an amazing accessories shop, trust me. If you haven't stopped by to see what they have to offer... you're missing out! With more than 30,000 original page hits a month, and 850+ hits per post, this is a great opportunity for you to gain traffic and followers!